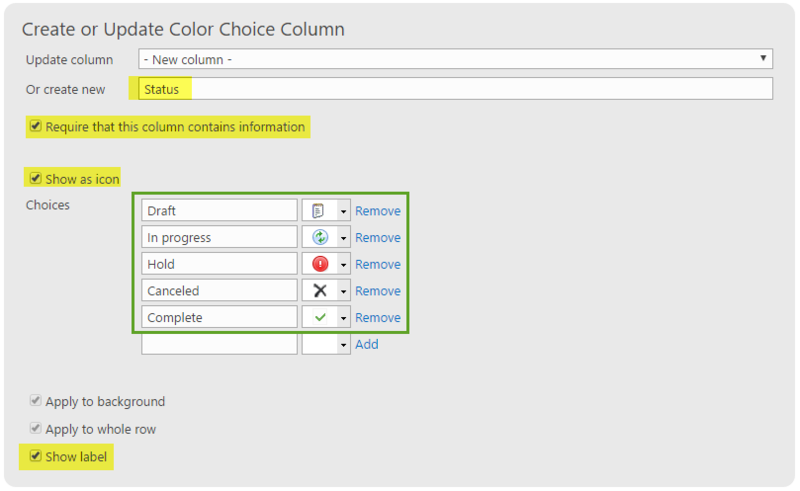 Use the color choice field as a status column to track the overall status of a project. Create a color choice field in the list settings section. 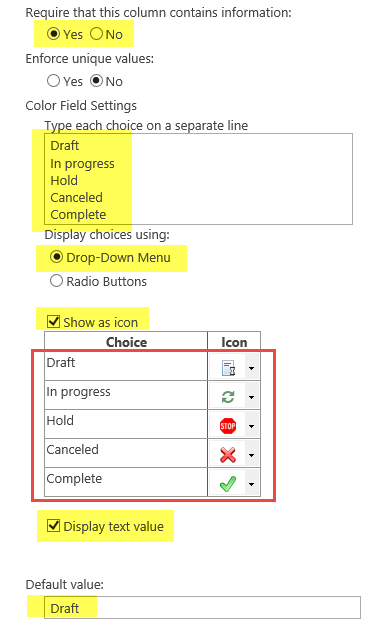 Create a color choice field in the Infowise Design Screen. The color choice field is a flexible tool that can facilitate interesting and visually appealing dashboard screens. Using a Status indicator is a useful and common use of this components.